I am not getting when trying to give a console.log after the .map in the properties, I can not access the created properties, returns undefined. However, when I give a console.log on any object, the created properties are there. The function used in map is asynchronous. Right now map is being called on all of the coins and before all the asynchronous data can come back the code has already moved on to the console.warn() calls. 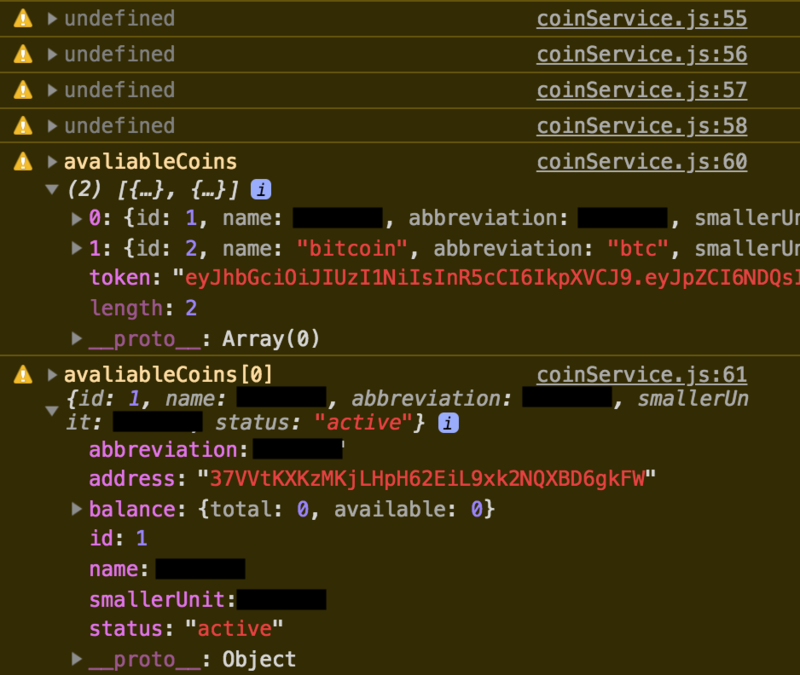 availableCoins will eventually be updated with all the asynchronous data as it is returned, but there is a race condition here since the code is not explicitly waiting for that to happen. return a modified item from each async call in map, this will return a Promise that will resolve to the modified item when the async function completes.